1. 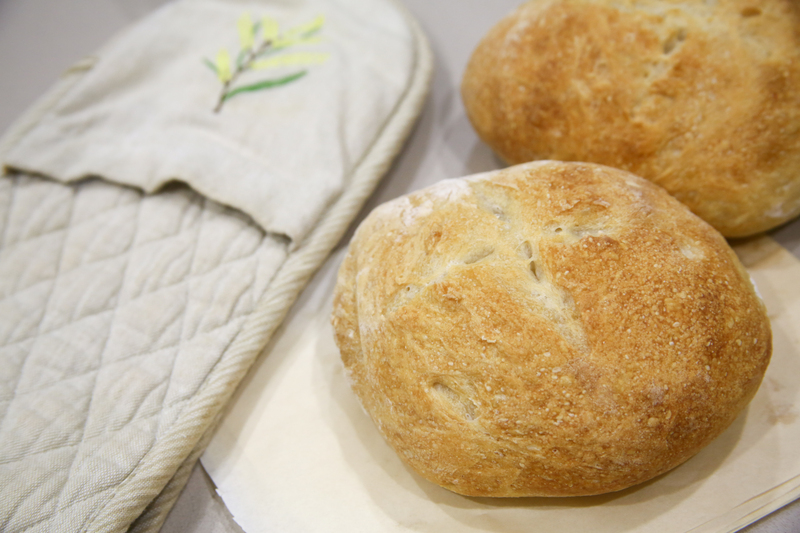 In your electric mixer bowl, place 3 3/4 cup of bread flour. Place the yeast on one side and salt on the opposite side. Pour the water into the middle. 2. Using the paddle attachment, mix it until it appears just mixed. 3. Change to the dough attachment, mix on medium speed for 2 min. 4. Stop and rest the dough for 5 min. 5. Mix again for 3 min. 6. 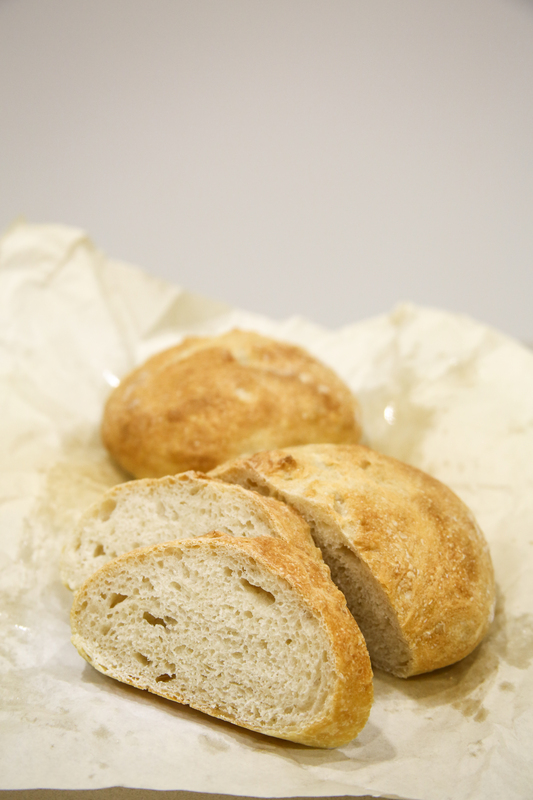 With the remaining 1/4 cup of bread flour, hand knead dough until it is smooth and satiny. Shape into ball. 7. Place into oiled bowl, cover with a damp towel and place in a warm area. Let it rest for 90 minutes until it doubles. 8. Remove from bowl, punch down and form a ball again. Return to bowl and cover for 30 minutes. 11. In the last 20 minutes, preheat oven to 220 degrees celsius. Place two trays in the oven to preheat, one at the most bottom shelf. 12. Place bread onto tray and slash a ‘x’ onto the bread to let the bread rise. 13. Add water to the bottom tray so that steam is produced to create a crispy crust.